Geneva, Switzerland, January 18, 2017 – MSC Cruises, the world’s largest privately-owned cruise line, is enhancing its range of cruises from the United Arab Emirates with the introduction of a second ship, MSC Lirica. 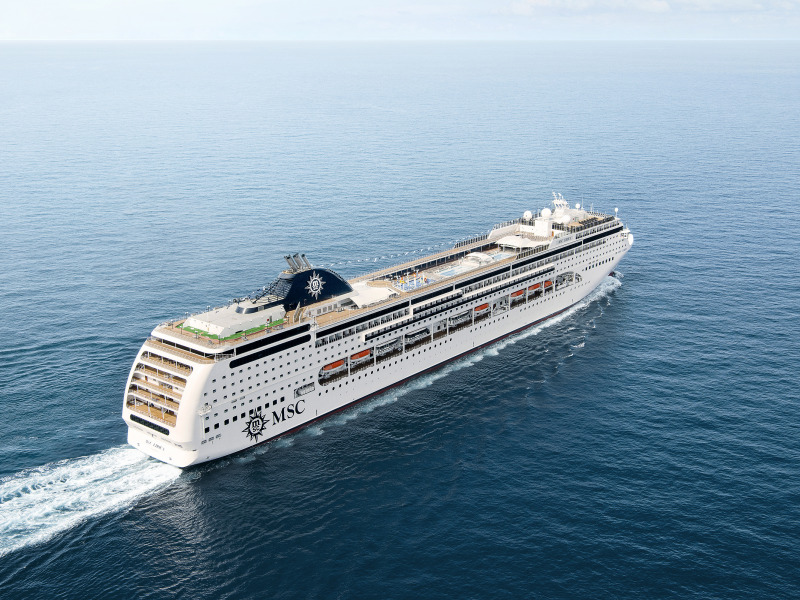 Featuring new extended cruises of 11 nights and 14 nights, MSC Lirica will be making her debut in the UAE in November 2018, offering longer itineraries, two overnight stays in Dubai, as well as cruises to India for the very first time. This addition to the winter 18/19 offers guests the opportunity for extended winter cruise holidays, and the chance to discover yet more new and exotic destinations. This year, for the first time, MSC Cruises will offer its guests cruises to India from Dubai. Guests will call at bustling Abu Dhabi, followed by the serene and picturesque Muscat, before crossing the Arabian Sea and calling in Mumbai – the front door to India. Teeming with energy and excitement, Mumbai is a place where cultures collide. Lose yourself in some of the grandest colonial architecture India has to offer, or take a cool-dive into the many bazaars and hidden temples around every corner. And your Indian experience is not just limited to Mumbai. The voyage also offers chances to escape from it all whilst watching the sun go down across the uninterrupted stretch of golden beaches in Goa, as well as the opportunity to discover the hidden gems of Mangalore. From fragrant, bustling vibrancy to utter tranquillity, expect an Indian experience like no other aboard MSC Lirica. For those searching for a longer getaway in the winter sun, MSC Cruises’ 11-night itineraries from Dubai and Abu Dhabi will provide the perfect escape. There is a range of beautiful beach locations en route. Sir Bani Yas, a unique island beach oasis, exclusive to MSC Cruises on the days it calls, offers guests pristine beaches, water activities and access to the region’s largest nature reserve. The Pearl-Qatar, Doha’s stunning man-made island, spans a million square metres and is home to beaches, a wide range of shopping and over 100 bars and restaurants. Khasab, Oman is one of the most striking cities on the Arabian Peninsula, where turquoise water cools the warm beaches on the shores of its impressive and historic fort. Manama, Bahrain’s charming capital, is a metropolis abuzz with culture and intrigue where modern skyscrapers stand with historic buildings. MSC Cruises is also introducing two overnight stays in Dubai as part of its new itineraries, allowing guests an extended amount of time to explore the delights of this cosmopolitan port. Guests will have the chance to take in the sights of the legendary night skyline, from the luxury of MSC Lirica. Beyond this, MSC Lirica passengers will witness the night sky in Muscat. Watch the sun go down over the domes and minarets of this historic port city – an evening to truly remember. This excursion takes in some of the most iconic symbols of Dubai, from Dubai Mall, to the world’s tallest building, the incredible Burj Al Khalifa, to world-renowned seven-star luxury hotel Burj Al Arab, and the man-made, palm-shaped Palm Jumeirah. Take a break from the glamour to visit Dubai’s famous gold souk, and experience Dubai’s traditional way of life. Fondly referred to as the “Manhattan of Arabia,” this sightseeing tour allows guests many photo opportunities across the city, finishing up at the incredible new Louvre Abu Dhabi, the largest art museum on the Arabian Peninsula. Here, guests score through the Bahrain International Circuit in the heart of the Sakhir Desert. Take a 4x4 to the limit over man-made and natural obstacles. One for the true adventurer. This excursion allows guests to commune with Oman’s spiritual and cultural heritage, on a tour from the Grand Mosque, through to old Muscat and the Muttrah Souk, a traditional Omani market. Guests will also stop at the Bait Al Zubair Museum, to discover archaeological finds, as well as viewing the traditional dress and jewellery of Oman. To understand Qatar’s singularity, a trip through its surrounding desert is a must. Experience an exhilarating ride as across the rolling sand dunes, and end up at Gulf Adventure camp; an oasis of tranquillity located in the Arabian desert, kissed by the blue waters of the Arabian Gulf. Here, guests will discover Goa’s verdant landscape on this one-of-kind river cruise. Head down to the mangroves where the Cumbarjua River flows; the impressive birdlife and freshwater crocodiles are a sight to remember. Over the course of three days, this tour takes guests through Mumbai, New Delhi, Fatehpur Sikri, Agra – home to the breath-taking Taj Mahal – and Cochin. With two nights in luxury hotels, experience an express tour through some of India’s most famous and memorable landmarks. This tour takes guests to visit the famous Jain temples of Mangalore. From the 15th Century Moodbidiri temple, to Udupi’s Krishna Temple, these ancient temples are a unique immersion into India’s heritage. For those seeking even more adventure, the Grand Voyages offer a unique opportunity to traverse the historic Suez Canal. MSC Lirica departs Venice, Italy on 2nd November and arrives in Dubai on 18th November and then returns to the Mediterranean on 15th March. 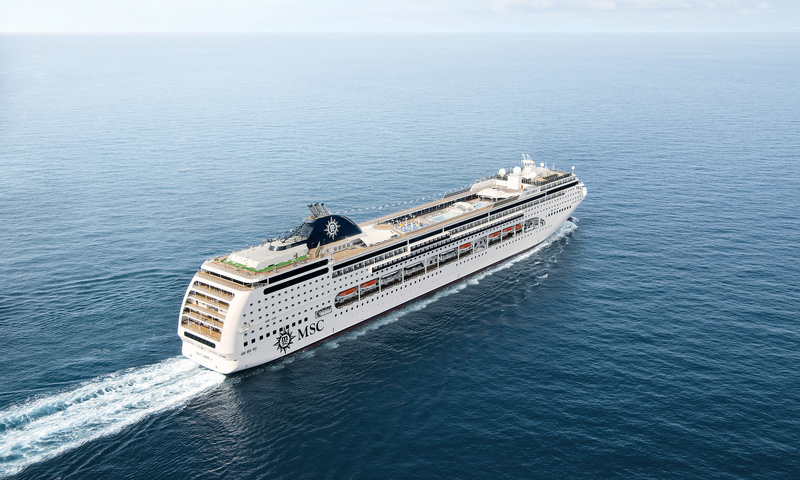 MSC Lirica will be offering ten cruises starting from either Dubai or Abu Dhabi with Fly&Cruise packages. Totally refurbished as part of MSC Cruises’ €200 million Renaissance Programme, MSC Lirica represents the height of style and comfort at sea. This modern ship will offer fine dining options with the best of Mediterranean and International cuisines, exclusive, world-class entertainment, unparalleled family facilities, luxurious pampering and wellness and accommodation to meet every need. MSC Splendida will also be based in the UAE for Winter 18/19 offering 7 night cruises with two embarkation ports – Dubai on Saturday and Abu Dhabi on Sunday. MSC Splendida features the MSC Yacht Club. Designed for the most discerning guests who desire exclusivity and privacy but with a world of choice. The MSC Yacht Club is an innovative “ship within a ship” design concept, as it offers an entirely self-contained area on the foredecks of the ship providing sweeping sea views with a range of private facilities including a pool, solarium and a dedicated restaurant.